Racing across a grassy park or lolloping through surf on a beach, each of these dogs has an obvious lust for life. Yet not so many years ago they could all have been put down. All of them have lost limbs or become paralysed and it used to be deemed too cruel for active animals to have such limited mobility. 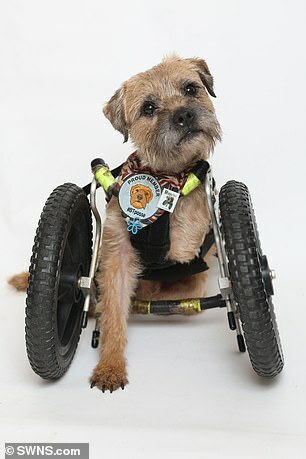 Now, however, a host of specialist canine wheelchair-makers have sprung up offering hope of a happy future to disabled dogs across the world. For between £250 and £800, owners can buy a specially made contraption that fits their pooch perfectly — whatever limbs it has lost. ‘These wheels give them back their freedom and the chance to be a normal dog again,’ says Liz Hennel of The Hope Chest, an organisation that helps fund canine mobility aids.